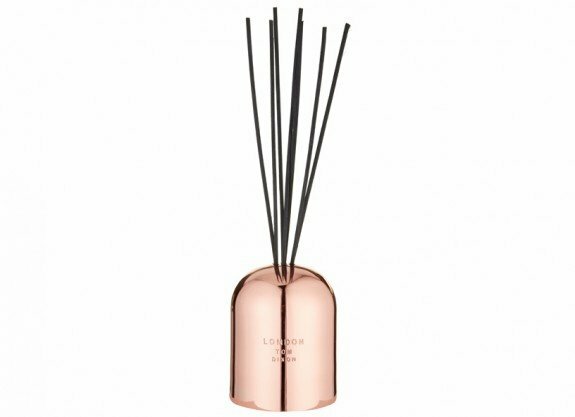 Our signature Tom Dixon scents are now available in a neat diffuser to subtly release each distinctive fragrance. A bundle of black rattan reeds are held within a copper and glass vessel. LONDON captures the smell of red brick and London parks with crocuses and nettles, and the salty smell of the Thames at Dagenham. Encased in a copper hand-spun vessel, with a solid Morwad marble lid.